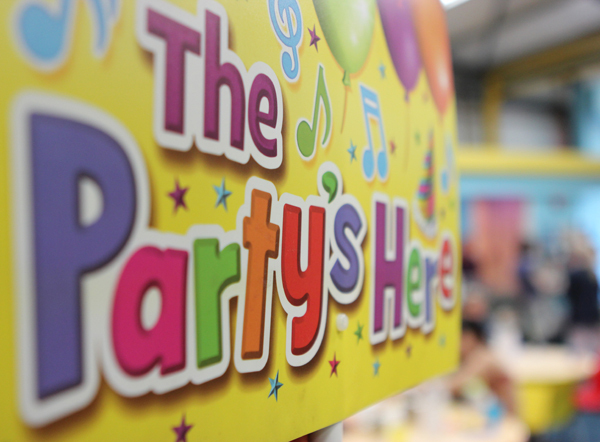 Party Packages | Cheeky Chimps Coleraine! Cheeky Chimps has a host of birthday packages which take the hassle out of your child’s big day! From as little as £7.50 per child, you can feed and entertain the little ones for two hours. Our £7.50 per child package includes entrance, play, use of our party area, juice, food & ice cream for the kids, cake ceremony (cake not included) and a free entrance pass for birthday child’s next visit. For just £8.50 per child, face painting and party bags can also be included in your child’s big day. You can also hire the play centre privately. Our private hire is seven days a week from 6pm to 8pm, and also Sunday mornings from 10am until 12 noon, and includes everything from both packages above. There is a minimum charge of £150, which includes 15 children. Additional kids will be £8.50 per head. Hope this helps, any other questions please don’t hesitate to give us a call on 028 7034 3005.